When I get home, I'm going to take down a plaque that has proudly hung in my own home office for nearly 10 years now. 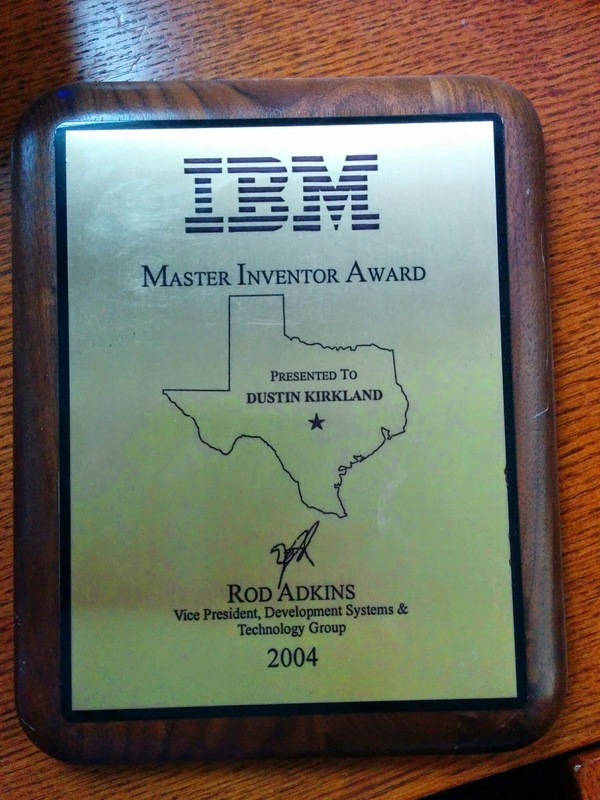 In 2004, I was named an IBM Master Inventor, recognizing sustained contributions to IBM's patent portfolio. Yeah, I filed somewhere around 75 patents in about 4 years, 47 of which have been granted by the USPTO to date. But that enthusiasm evaporated very quickly between 2005 and 2007, as I reviewed thousands of invention disclosures by my IBM colleagues, and hundreds of software patents by IBM competitors in the industry. I spent most of 2005 working onsite at Red Hat in Westford, MA, and came to appreciate how much more efficiently innovation happened in a totally open source world, free of invention disclosures, black out periods, gag orders, and software patents. I met open source activists in the free software community, such as Jon maddog Hall, who explained the wake of destruction behind, and the impending doom ahead, in a world full of software patents. “People have become confused,” Shuttleworth lamented, “and think that a patent is incentive to create at all.” No one invents just to get a patent, though — people invent in order to solve problems. According to him, patents should incentivize disclosure. Software is not something you can really keep secret, and as such Shuttleworth’s determination is that “society is not benefited by software patents at all.”Software patents, he said, are a bad deal for society. The remedy is to shorten the duration of patents, and reduce the areas people are allowed to patent. “We’re entering a third world war of patents,” Shuttleworth said emphatically. “You can’t do anything without tripping over a patent!” One cannot possibly check all possible patents for your invention, and the patent arms race is not about creation at all. And while I'm still really proud of some of my ideas today, I'm ever so ashamed that they're patented. If I could do what Elon Musk did with Tesla's patent portfolio, you have my word, I absolutely would. However, while my name is listed as the "inventor" on four dozen patents, all of them are "assigned" to IBM (or Lenovo). That is to say, they're not mine to give, or open up. What I can do, is speak up, and formally apologize. I'm sorry I filed software patents. A lot of them. I have no intention on ever doing so again. The system desperately needs a complete overhaul. Both the technology and business worlds are healthier, better, more innovative environment without software patents. I do take some consolation that IBM seems to be "one of the good guys", in so much as our modern day IBM has not been as litigious as others, and hasn't, to my knowledge, used any of the patents for which I'm responsible in an offensive manner. No longer hanging on my wall. Tucked away in a box in the attic. But there are certainly those that do. Patent trolls. Another former employer of mine, Gazzang was acquired earlier this month (June 3rd) by Cloudera -- a super sharp, up-and-coming big data open source company with very deep pockets and tremendous market potential. Want to guess what happened 3 days later? 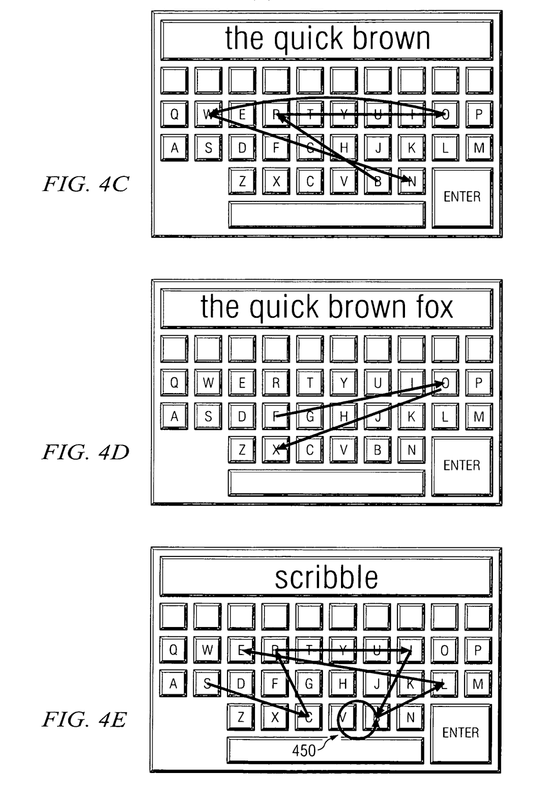 A super shady patent infringement lawsuit is filed, of course! Protegrity Corp v. Gazzang, Inc.
Complaint for Patent InfringementCivil Action No. 3:14-cv-00825; no judge yet assigned. Filed on June 6, 2014 in the U.S. District Court for the District of Connecticut;Patents in case 7,305,707: “Method for intrusion detection in a database system” by Mattsson. Prosecuted by Neuner; George W. Cohen; Steven M. Edwards Angell Palmer & Dodge LLP. Includes 22 claims (2 indep.). Was application 11/510,185. Granted 12/4/2007. Yuck. And the reality is that happens every single day, and in places where the stakes are much, much higher. See: Apple v. Google, for instance. What a brave, bold, ballsy, responsible assertion! I've never been more excited to see someone back up their own rhetoric against software patents, with such a substantial, palpable, tangible assertion. Kudos, Elon. Moreover, I've also never been more interested in buying a Tesla. Coincidence? Maybe it'll run an open source operating system and apps, too. Do that, and I'm sold. The Yo Charm. It's that simple.